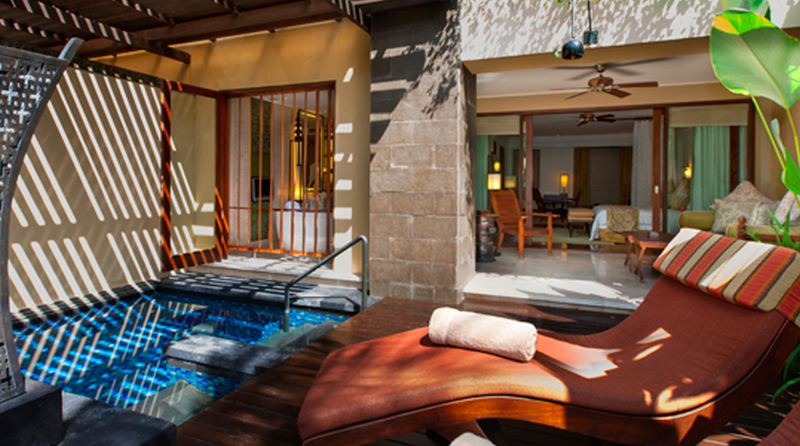 Amex is out with some pretty lucrative Amex Offers for stays at Marriott & Hilton properties. Earn 3,500 Amex Membership Rewards Points after spending $250 at Hilton or Curio Collection hotels and resorts. The offer is good for one-time use through 4/15/2017. I had this offer on my Amex Business Platinum. Earn 3,000 Amex Membership Rewards Points after spending $200 at Marriott properties (almost all brands) by 2/28/17. This offer is good for two uses. I had this offer on my Amex Everyday card. I randomly have both a Marriott and Hilton stay coming up so will get to take advantage of two of these offers. That's 6,500 additional MR points. I value MR points around 2 cents so that's like $130 in travel value for spend that I would have made anyway. Yes, I'll divert the spend to these cards from my Chase Sapphire Reserve (3x on travel and dining) but I'm still coming out way ahead even if I'm giving up 2x points on $450 in pend (900 points). 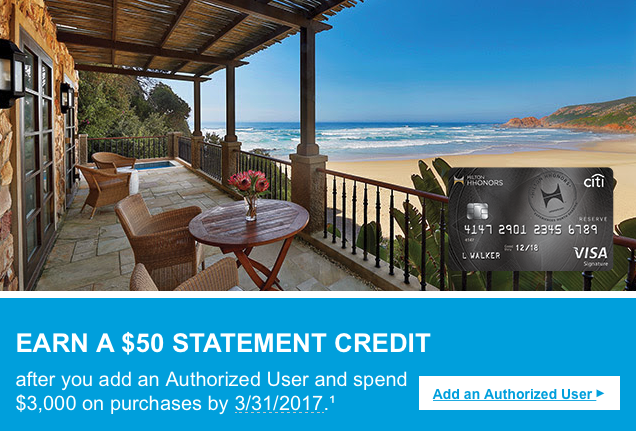 Citi's offering a $50 statement credit (targeted) for adding an authorized user and spending $3,000 on the card by 3/31/2017. While I won't be taking advantage (too many other spending requirements to meet) this is actually a decent deal if you don't have anywhere better to put the spend. The card earns 10x points on Hilton spend, 5x on airfare and car rentals, and 3x everywhere else. Even if all of your spend is unbounded (unlikely) you'd be earning 9,000 Hilton HHonors points and $50. I value the HHonors points around .6 cents/point so you're getting $104 in value from $3,000 in spend. That's a roughly 3.5% return. 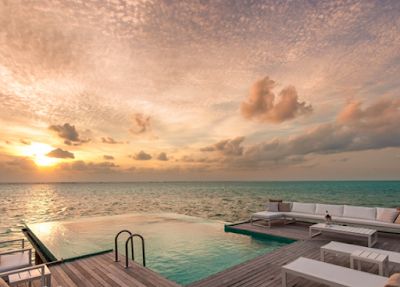 I Earned How Many Points at the Conrad Maldives? Hilton's HHonors program seems to be especially lucrative on the surface. When you consider that as a base member, you're earning 10x points (vs. 2x at Starwood) per dollar spent on rooms, you can earn a lot of points quickly. On top of that you can earn an additional 5x points if you choose "Points and Points" as your "My Way" option. Gold status (easily obtained with several credit cards) will add another 25% on top. Frequent bonuses (like the current 2x bonus) add to the bounty. I knew that we'd be earning a ton of points in the Maldives. I was planning to put all of our incidental spend on the Hilton Reserve card which earns an additional 10x points on Hilton portfolio spend. I had read mixed reports that the seaplane journey (1120 USD) would earn points but was hopeful. We've returned from our trip (review forthcoming) and points have posted to my HHonors account. I expected that I would earn 40x in total on $2,100 in total spend. It was WAY more than that. I earned 140,516 points during my stay. I've yet to receive the points from the spend on my Reserve card but expect that to be 21,000 points. Add that to the 140,000+ points earned and I nearly earned enough points to return to the property for a couple of nights (190,000). I still can't quite figure out the math but I can confirm that I earned points (at least from HHonors) for the seaplane expenditure. That's a nice return on what is a mandatory (and very expensive) 30 minute ride to the resort. I value Hilton Honors points at around .7 cents per point meaning the total rebate I received was around $1,130. On $2,100 in spend. Maybe I should consider a full time move to the Conrad? I've updated the post below based on changes made to our itinerary. I'll post the Planning & Booking section in the next week or so. 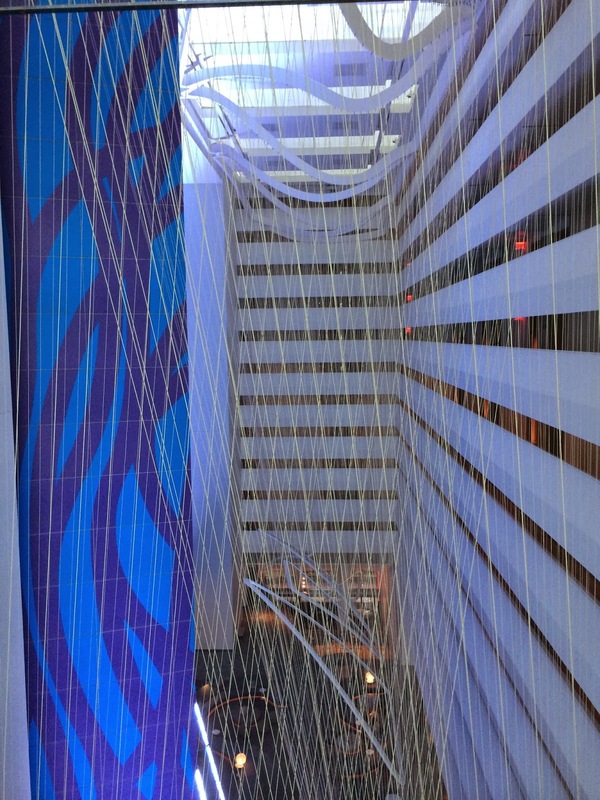 I've eluded to our upcoming RTW adventures in posts about the brand new Houston Centurion lounge as well as getting the most out of Hyatt Gold Passport points. We're leaving next month and the trip is almost complete so figured I'd provide a bit more of a teaser in the form of an introductory post. We were in the Maldives last year and just loved it. There is something completely magical about the remoteness of it all. There's no denying the fact that it's an incredibly challenging to get there. Especially from the US. But once you are there, it's the most beautiful place on earth (at least that I've seen). So we set out to return later this summer. 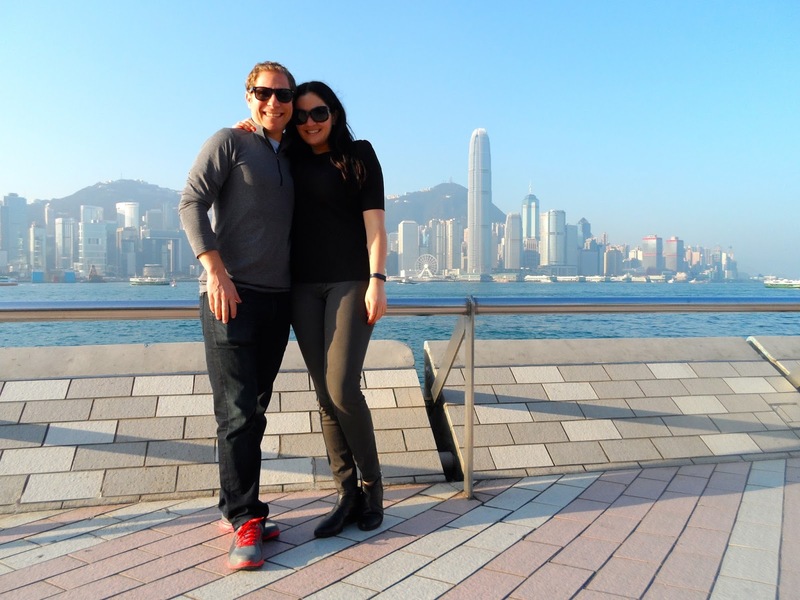 While we loved the Park Hyatt, getting there is more of a challenge than other resorts. 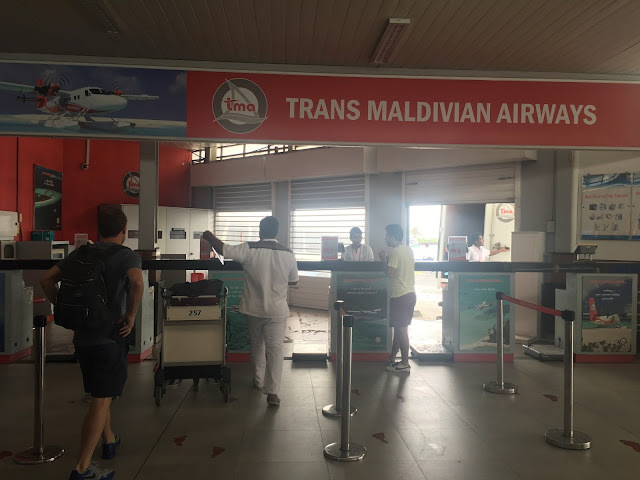 I'm working on another trip to The Maldives and unfortunately was a bit short of points to lock in the hotel (the most important part of any Maldives trip). 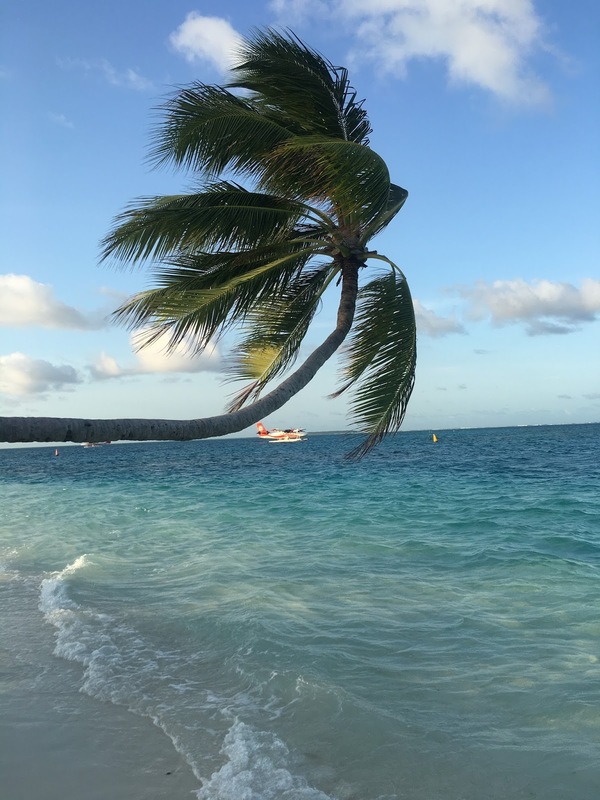 Especially given the challenge of finding hotel award availability along with flight awards, locking in the hotel portion when it matches with flight availability is key. While we loved our stay at the Park Hyatt during the last visit, we wanted something a bit closer to Male to maximize our time. There are only a handful of point redemptions at the moment and the Conrad was essentially our only other option that met our requirements. I recently posted about my 2015 year in flight. You can also read about my hotel stays in 2014 (45 nights) and 2013 (55 nights) for comparison purposes. In 2015, We stayed in really great hotels although didn't receive as many "upgrades" as in prior years. I ended the year with 46 total nights. Virtually identical to 2014. Starwood (15 nights) and Hyatt (11 nights) brands made up the bulk of my stays. Interesting to note that 15 of the 46 nights were related to business travel...vs. 0 in 2014. 5 of the nights were at independent properties where we were unable to earn/burn points. None of the nights were business travel although 10 of the "nights" were credit from the Starwood American Express cards and two additional nights were "mistakes" credits. So I actually stayed in hotels 45 nights during 2014. I will be dropping from Starwood Platinum to Gold (lifetime) which I'm okay with. I think 2016 will look pretty similar - large concentration on both Starwood and Hyatt with Marriott/Hilton as backups. I don't expect the Starwood/Marriott merger to impact my stay habits at this point but we'll see how the merger/loyalty program integration goes. 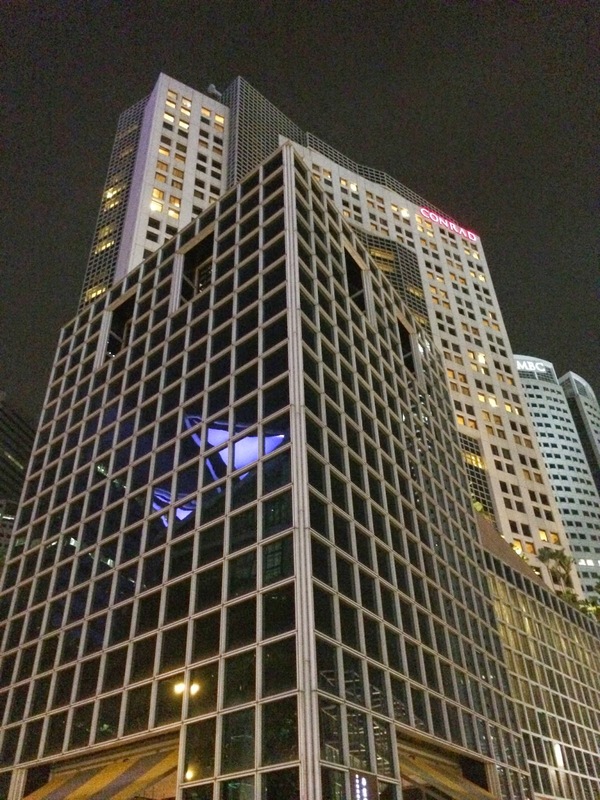 That said, both of us are becoming very fond of Hyatt - especially the Park Hyatt and Andaz brands. For the most part, Park Hyatt blows St. Regis out of the water and Andaz beats W hotels in terms of substance so I think we'll continue to ramp Hyatt stays when possible. We had some amazing stays across the year. 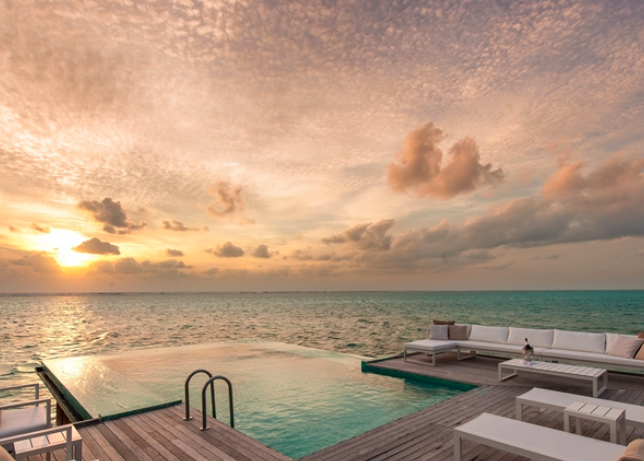 My favorite by far was the Park Hyatt Maldives Hadahaa. Close second (same trip) would be Al Maha outside of Dubai. Third would be the Waldorf Astoria in Amsterdam. It was another great year in travel - we're both excited for a new year exploring new places! Arriving at Amsterdam's Schiphol airport is far better than Europe's other monster gateways (London, Paris, Frankfurt). By comparison, the airport is far smaller and easier to navigate. Immigration was a breeze and our bags were among the first on the carousel. We walked out of the terminal around 8:30 PM to find a bright blue sky - still 2 hours of daylight left - awesome! There really isn't a "cab line" in the traditional sense as you can just grab any cab - they're all the same price (~45 Euros). So of course we opted for the blue Tesla Model S and were on our way to the Waldorf in a matter of minutes. Our driver was super friendly (perhaps overly friendly) but explained a few sites on the way in and warned us to watch out for the cyclists that dominate the city's streets. Amsterdam is really a gorgeous city and both of us were glued to the windows as we marveled at canal after canal. The Waldorf Astoria Amsterdam is located right on one of the canals in the center of the city - just a couple of blocks from Rembrandt Square. I recently posted about my 2014 year in flight. You can also read about my 2013 hotel stays here. In 2014, We stayed in really great hotels although didn't receive as many "upgrades" as in prior years. I'll end the year with ended the year with 57 total nights (I was at 55 last year) across Starwood, Hyatt, Hilton, IHG, and independent brands. Interesting to note that 5 of our stays and 13 of our nights were at independent properties where we were unable to earn/burn points. As we cleared immigration, our bags were already rounding the carousel. We grabbed the bags, hit the ATM, and were in a cab on our way into Singapore in a matter of minutes. We arrived during this day which made it easy to find the somewhat hidden Conrad which is located in the middle of a sprawling group of office skyscrapers. 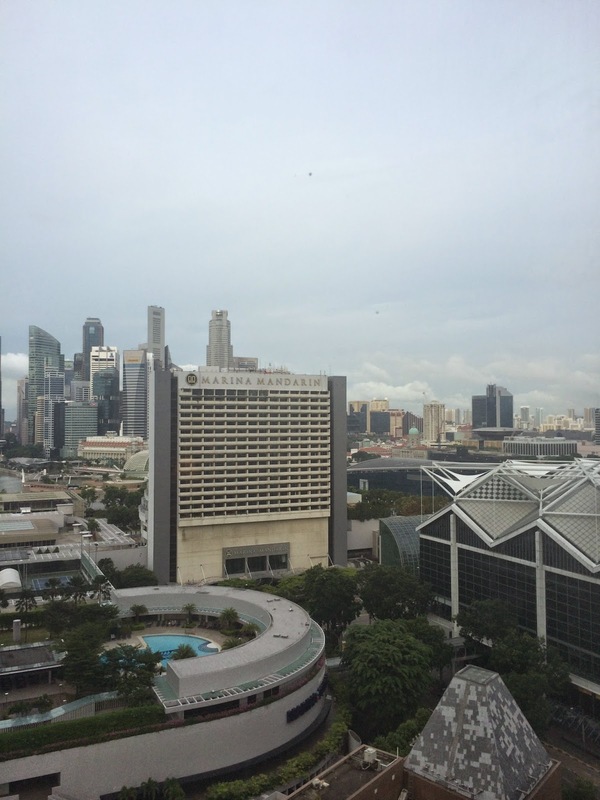 We stayed at the Conrad during our last trip to Singapore and really enjoyed our stay. 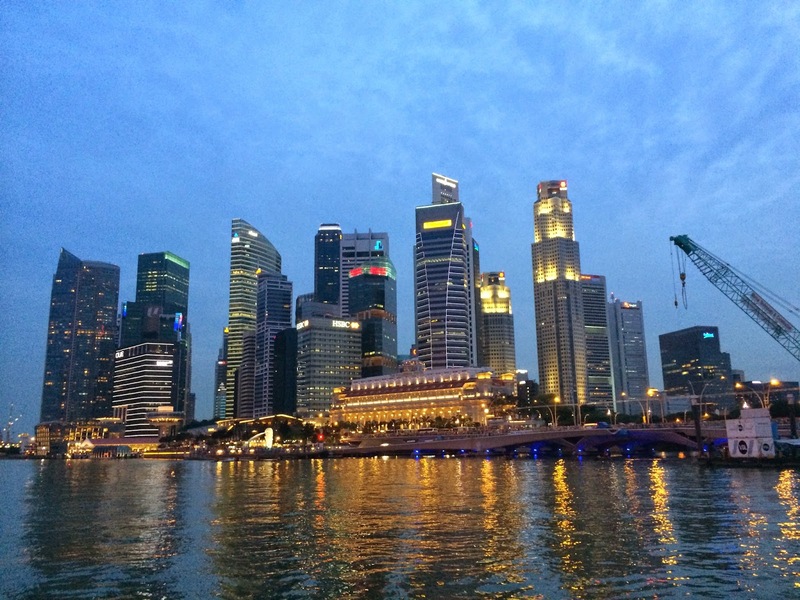 The location is ideal in that it's close to public transportation and the Marina Bay area where we spent most of our time. I had emailed the property prior to our stay to ask if there was availability on the club floor. I received a response basically saying "if there's availability we'll upgrade you." Upon check-in, there was no availability but we were (thanks to our Hilton Honors Gold status) upgraded to a room on the "business" floor that provided complimentary breakfast by the pool vs. the restaurant/lounge. Our room was standard Conrad fare. Modern but slightly boring from a decor standpoint. We did receive a complimentary fruit amenity, waters refreshed daily, and truffles during turndown. Of course, the highlight was the Conrad bear and rubber ducky which lives quite the life on the edge of our tub at home. 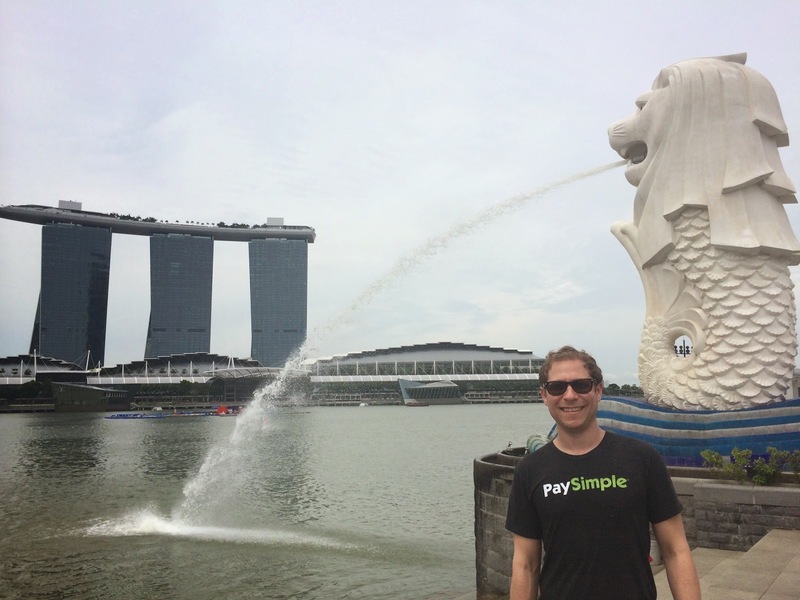 Who doesn't love the Merlion? Other than our room and breakfast, we didn't spend a ton of time at the hotel but we did enjoy our stay and recommend this hotel (especially if using HHonors points) as the location is ideal. If you can score an upgrade to gain access to the lounge, you are in for a treat as it is one of the best hotel lounges in the world. After making several changes to our hotel reservation for our New York overnight, we decided to spend the night in the city. Our flight from Denver was scheduled to land around 10PM and our departure to Seoul wasn't until 1PM. So we decided a morning in the city would be much better than staying out by the airport. I was able to book a discounted premium room with a river view for (standard rooms normally go for 70,000 HHonors points) for 68,000 points a few days before departure. I used to stay at this property when traveling on business (it was an Embassy Suites) before it was converted Hilton’s premium Conrad brand. So I was interested to see what they had done with the place since my last stay a few years ago. After arriving on SQ flight 11 at 3AM, we made our way to the Conrad Centennial Singapore where there was no line to check-in. I had booked the hotel prior to Hilton's point devaluation and was able to book 5 nights in a standard room for 160,000 points (the stay would now cost 240,000 points). We were actually only staying 4 nights but needed to "pre-block" the night before given our very early morning arrival. Rooms were going for ~$300 USD all-in so I was getting .94 cents/point. That is actually pretty good for HHonors points. 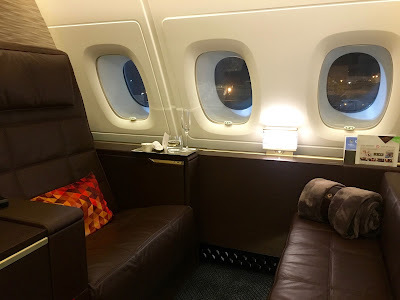 I had emailed a bit with the hotel to see if we could score an upgrade to the Executive Lounge floor which I had heard was one of Conrad's best. As a Hilton Gold (earned through signing up for the Citi Hilton Reserve Card) they promised they would do their best but couldn't guarantee anything. Over the weekend, I applied for the following cards (read this post first if you haven't already). This was one of the easiest rounds of applications ever. I was done in less than 30 minutes all all three cards were auto approved onscreen. It's not always this easy - sometimes you have to fight for an approval by calling the issuer and explain why you want the card. In some cases I've had to move credit lines around when I have multiple cards with the same issuer to obtain an approval. But at the end of the day, the banks want to approve vs. decline and keep you as a customer. Agents are typically super friendly, knowledgeable and genuinely want to find a way to earn/keep your business. I managed to grab screen caps of 2 of the 3 but missed on the Amex Surpass upgrade. I'm always shocked at the credit lines these companies doll out. All in, I value the points/cashback earned on these cards at $1,190. Not my best haul but after a couple years of doing this, there aren't unlimited earning opportunities. I am looking forward to diversifying my point mix a bit and earning Alaska miles definitely plays into that strategy. 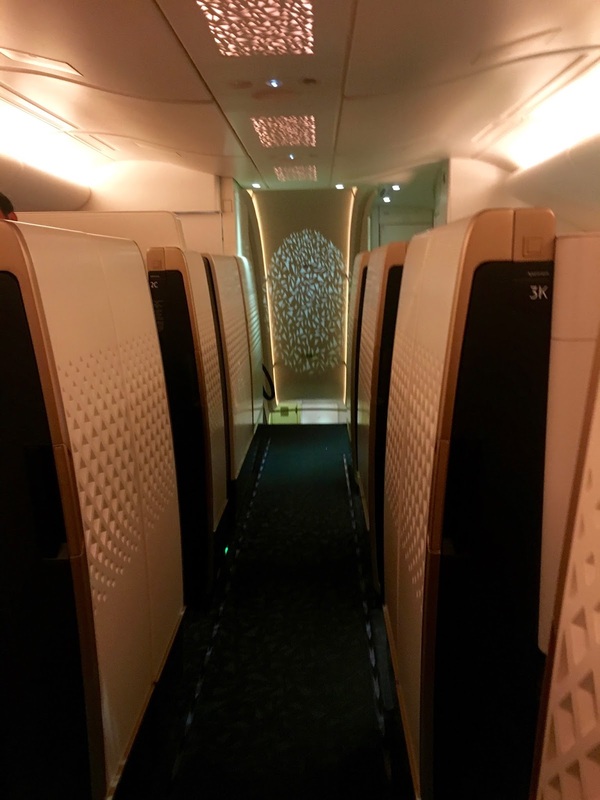 I hope to be riding on the Emirates A380 one day soon!! Stay tuned for the next round of applications in 90 days or so. As I discussed in this post, I apply for a new round of credit cards every 90 days. Remember, this is not for you if you are a) working on improving your credit b) planning on applying for a loan such as a mortgage in the near future or c) if you periodically carry a balance on your cards. The rewards that you'll gain in these cases will be heavily offset by either not being able to qualify for the lowest lending rate (due to recent inquiries on your credit report) or actually paying interest if you carry a balance. Each application will typically ding your credit 2-5 points (those inquiries fall off over time and your score will go back up) thus the reasoning for applying for cards every 90 days on the same day. The inquiries fall off roughly at the same time and on the day you apply, the other banks don't see that you applied for a card earlier in the day. My FICO score has only approved over two years of doing this every quarter. Before this round of applications, my score ranged from 765 - 780. Now that the disclaimer is out of the way...My quarterly "churn" happened to be this past weekend so here's an overview of the cards I applied for and why. I'll provide an update on the results later in the week. This card offers 25,000 miles upon approval. Meaning no minimum spend required. The card does offer an annual fee of $75 which is not waived for the first year. I've been meaning to start stocking up on Alaska Miles since they introduced their partnership and award chart with Emirates. 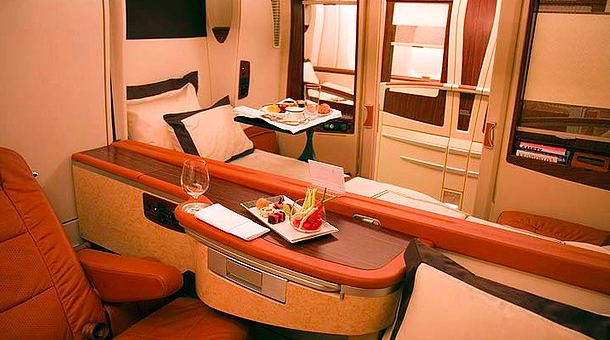 For 100,000 miles, you can fly (one-way) from the US to the Middle East in First Class on the Emirates A380. Not a bad way to travel especially when you know you can shower on-board. I value Alaska miles at $.02 each making the sign-up bonus worth $500. United and Starwood are my main programs so things are well setup next year. While certainly a downgrade from 1K, United Gold still allows Economy Plus access at booking, CPUs, Star Gold, free checked bags, same day changes, etc...While I didn’t hit 50 nights to receive the ten suite awards, (will end the year with 44 stays) I’m satisfied with Platinum. I usually take the breakfast if traveling with Emily or the points if traveling alone. We were pretty lucky in terms of both treatment and upgrades in 2013. Let’s hope that continues into 2014.